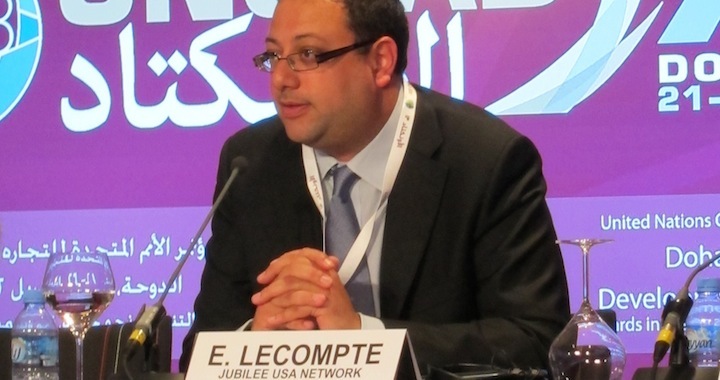 Eric LeCompte is the Executive Director of Jubilee USA, where he represents a diverse coalition of faith communities in the common cause of eradicating extreme poverty and building an economy that serves, protects and promotes participation of the most vulnerable. You can read my interview with Eric here. This entry was posted in The Faithful and tagged Interview, Jubilee, Red Letter Carpet. Bookmark the permalink.